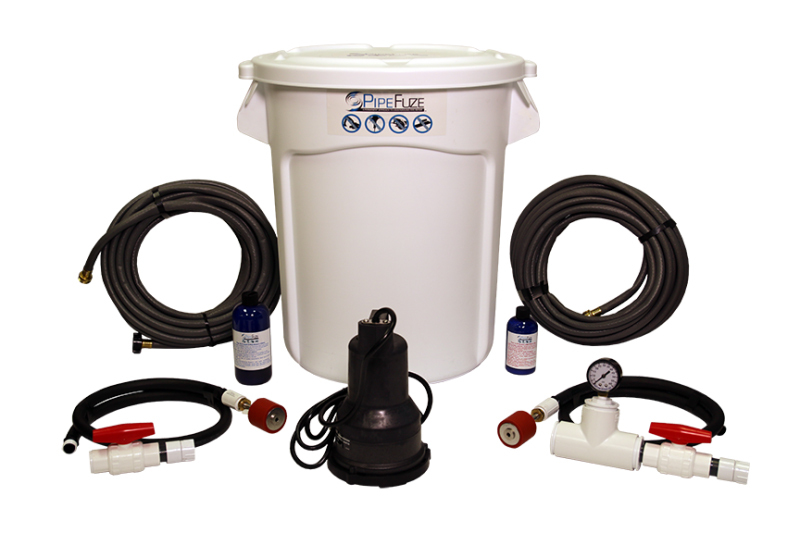 Homeowner Kit from PipeFuze is a polymer based underground pipe repair injection system which was designed to repair plumbing (suction or pressure side) lines without having to cut the concrete, asphalt or dig up the line. Works from ½ inch lines to 2 ½ inch lines. Are you a DIY type that can take the situation in to his/her own hands? The Homeowner Kit is made for the homeowner that knows they have a leak and simply can’t find someone who can let them know what it is and what it might cost to repair it without a hassle. PipeFuze B – Catalyst Hardener. What’s better is, after you clean and store your equipment, just order a new set of liquids when you want to use it again. The kit will always be there for your next leak repair.